Can You Protect Images from Copyright Infringement? You are here: Home / How-to Graphics / Can You Protect Images from Copyright Infringement? Wish you could protect images from copyright infringement? Too many web users think it’s OK to “borrow” them for their own use! There’s no foolproof way to prevent downloading and reuse of your images. Here are some methods to deter image thieves – but if your image is displayed on a web browser, it’s unfortunately easy to take, regardless of cloaking, slicing, disabling right click, or any other deterrents. 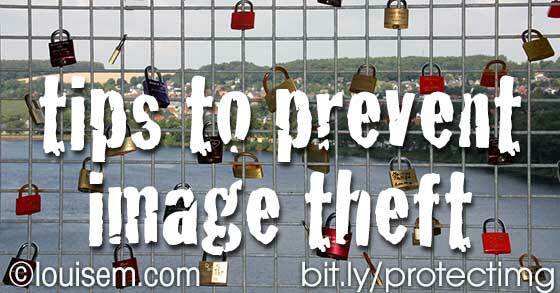 So, how can you protect your pictures and prevent image theft? 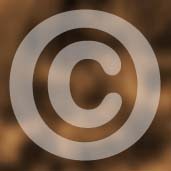 Don’t upload your images without a © copyright symbol and your web address. 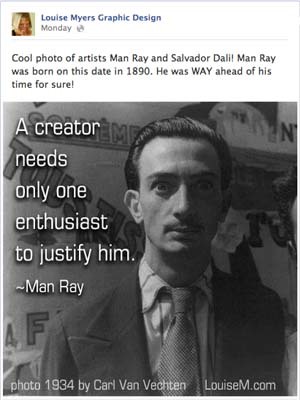 The © may deter honest people who just don’t realize they shouldn’t use your image. The URL will retain your credit for the work and allow people to find you. For a website owner, this is a bit of free promotion. You can add this as text when you’re making picture quotes in your photo editor. Or, see this list of online watermarking tools that gives you lots of choices to watermark online, or download free watermarking software to your PC or Mac. To protect original photographs and artwork, you can use a large watermark that covers a lot of the image – distracting, but a bit harder for image thieves to remove. 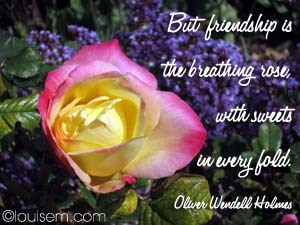 NOTE: Be aware that watermarks can be removed by anyone with image editing software. Using small, low resolution images prevents downloaders from selling your images or making a quality print. Therefore, even though Facebook allows uploading full size photos from your camera, consider first resizing to the wall display size of 504 pixels wide (updated for 2014). Otherwise – anyone you’ve allowed to view your FB photos can download the full-size image. Yes, even larger than the Facebook photo viewer display size! Whatever size you uploaded, up to 2048 pixels square, is easily downloaded. On your website, the largest image you need is 560 pixels wide, for the latest Facebook link preview. Size your images to the dimensions they’ll appear on your site using Photoshop or pixlr.com. Then save at low to medium compression, and upload to your site. Uploading the smallest file size needed not only deters image theft – it also helps your site load faster, which is important for Google SEO. For more info, ask your web developer or the WordPress support site. Most people don’t realize your images aren’t there for the taking. You can appeal to their better nature by spelling out what you do and don’t allow. I’m experimenting with a website of inspirational picture quotes, where I tell people that they can share on social media if they link back, and they can embed on their website with code I provide, which automatically credits me and links back. This technique is popularly used for sharing infographics. The WordPress plugin I use there and show in the screenshot below is Embed Code Generator. This post will give you several other techniques, but beware – all of these can be defeated by the savvy image thief! Do I Need to Copyright My Images? You own the copyright to what you publish on the web – which doesn’t mean others will respect that! Professional photographers and artists in the U.S. should consider registering their images with the United States Copyright Office to establish themselves as the creator of the work. Read this article for more info. In the comments, the author states that no lawyer will take your case if you haven’t registered your copyright. How Can I Track Down Copyright Infringement? What Should I Do if I find Copyright Infringement? For a comprehensive post on dealing with content theft, read What To Do When Someone Steals Your Content. It must be said: I’m not a lawyer, and none of this is to be taken as legal advice. Consult your lawyer for advice on protecting your images. What do you think? 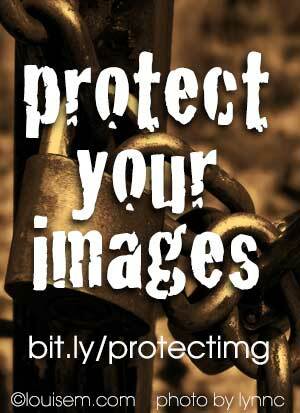 To what extent will you go to protect images from copyright infringement? Tell all in the comments! Thanx again for the useful information. I gave it a try for my own image of jewelry. check it out. We recently discovered that our designs were stolen and displayed on a website in China as their own. They even had the cheek to watermark the images with their own details! The saddest thing is as a local small US business we worry that customers now might think that we import our products from China! Are there not laws/organisations to prevent/chase such international infringements? Anthony, I’m so sorry to hear that! I wish there was a foolproof way to prevent that – but as things stand now, determined image thieves will prevail. I’m sorry, I don’t know anything about legal recourse. You could ask them to remove your images, but I have no idea what the result of that may be. They sound dishonest and might make things worse! I’m trying to find a watermark that I can add a logo, would love to add a ladybug as the logo for my late mother, it has a special meaning behind it….any ideas? Here’s a link to a search right on Pixabay.